Delightful !! 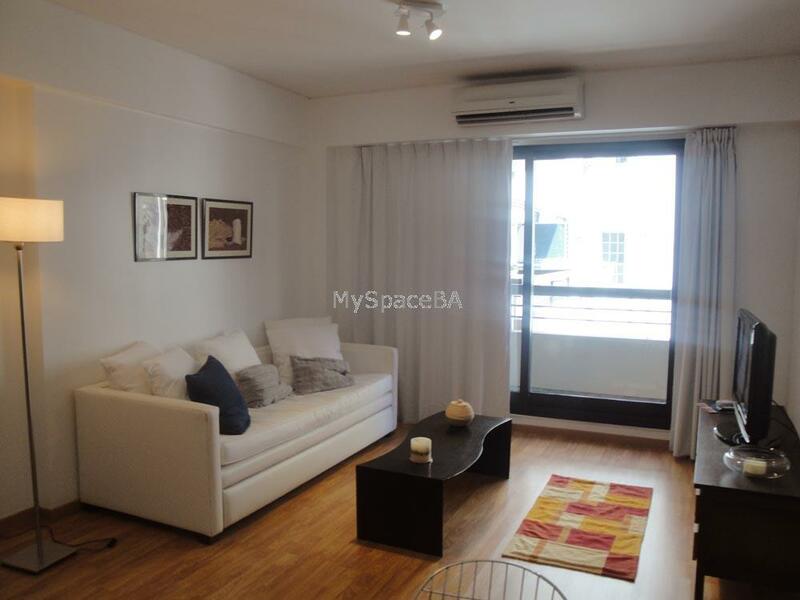 , spacious and fully equipped one bedroom apartment complete with all mod cons located in a brand new building of the highest category. Ample living with sofa bed, dinning area with table and chairs, LCD 42" with cable. Wi Fi . Aircon . Bedroom with queen size bed or two single beds if necessary . Aircon. Complete bathroom with bath tub and shower . Apartment located at the back of the building far from the city noise. Excellent option to stay close to everything. Balcony . Aircon in every room . LCD 42" . Cable . Landline telephone for local calls . Sofa Bed . Dinning table to seats four . Kitchen with refrigerator . Microwave . Electric Stove . Coffee-machine. Toaster . Dishes . Iron . Hair dryer . Cleaning service once per week .